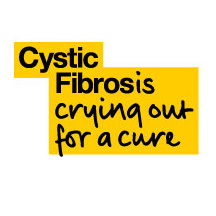 Cystic Fibrosis: Are You Registered As An Organ Donor? I’ve written before how 1 in 3 of the Cystic Fibrosis sufferers on the transplant list die waiting. Now, new figures released by the Cystic Fibrosis Trust reveal that the demand for lung transplants is not being met, with just 20% of lungs donated actually being transplanted. Before reading more about this news I urge you to watch this video that was sent to me on Twitter (@yearwithoutbeer), oh and to sign up to the donor register. • provide comprehensive psychological support for people with cystic fibrosis who are added to the waiting list. The Trust has identified a number of factors that could influence the shortfall in available lungs, including the generally relatively smaller size of people with cystic fibrosis, a lack of widespread access to technology that can keep extremely ill people in need of a transplant alive, and the way in which potential donors are managed before assessment. Another potential improvement could be achieved by a change in organ donation legislation to a soft opt-out system, which could increase the number of organs being made available. In Northern Ireland Joanne Dobson MLA has launched a consultation on a move to a soft opt-out system, and the Trust has already expressed its support for soft opt-out legislation going through the Welsh Assembly, which it has extended to Ms Dobson’s Bill. 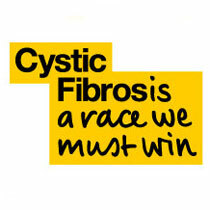 Professor Andrew Fisher of the Institute of Transplantation, Freeman Hospital and Newcastle University, backed the Trust’s consultation, saying: “There is an urgent need to address the current situation that sees one in three people with cystic fibrosis dying on the lung transplant waiting list.